Russia’s Gazprom says construction has started on the TurkStream undersea gas pipeline through the Black Sea. 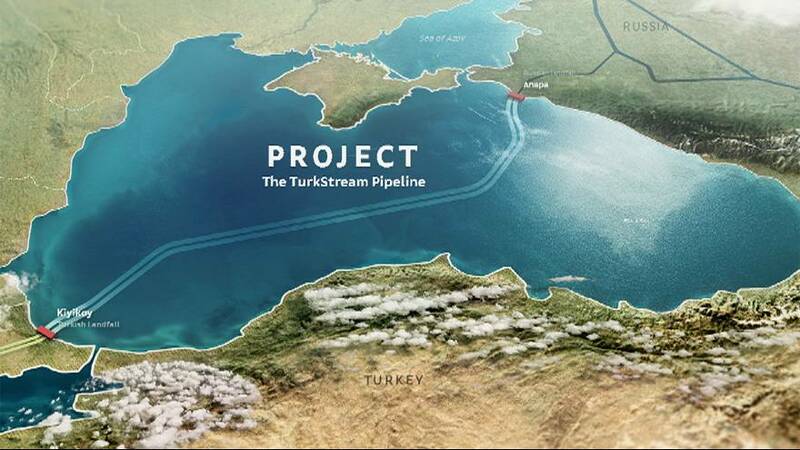 A Swiss company, Allseas, is laying pipes between Anapa on the Russian coast and Thrace, the European part of Turkey, north west of Istanbul. Gazprom’s Chief Executive Alexei Miller said the Turkish Stream project would be finished by the end of 2019. The TurkStream deal, which was signed in October 2016, will allow Moscow to strengthen its position in the European gas market and to cut the energy supplies it sends via Ukraine, currently the main route for Russian energy into Europe. Turkey will also get a price discount on gas as part of the deal. Gazprom had to scrap the previous South Stream project intended to ship gas direct to southern Europe via Bulgaria due to opposition from the European Union, which is trying to reduce its dependence on Russian gas.